Kitchen Remodel and Bathroom Remodel ideas a reality! Call us for Bathroom Remodeling, Kitchen Remodeling, and alumawood patio covers. 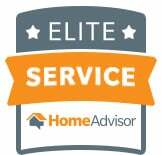 We have the best price for Mobile Home Service, and Air Conditioning Service. Call Us Today at (855) 506-4300. Mastercraft is now offering financing through Synchrony Bank. We have a promotion going on with 24 months interest free. Our home remodeling experts can give your project the individual attention it deserves. We offer affordable prices! Mastercraft will deliver your home improvements with care. You will feel confident in the work we do. We can transform your dreams into reality. You will work with the Owner and Operator. No Middleman! Call today for the information you need. We can handle recessed LED lighting, other lighting, and kitchen cabinets. We offer shower remodeling, wall removal, carpets, and tile floors. We also offer paint, wood garage doors, air conditioning service or home remodeling. We specialize in manufactured homes, mobile homes, and regular brick and mortar homes. We do repairs too! Why Use Mastercraft Home Improvement for Kitchen and Bathroom Remodels? Sold & Installed by Industry Experts. Ready for a Kitchen remodel? We offer Custom kitchen cabinets, bath and kitchen remodeling, and kitchen cabinet refacing. Our remodeling services will impress. Mastercraft is the company to do your Bathroom Remodel. We handle full bath remodels to shower remodeling. We can do the smallest to the most fabulous bath remodeling. People recommend us to friends because of our price. Patio covers will enhance the style of your home! We offer lattice, solid, stand-alone or custom covers. You can select from unlimited color choices and styling options. A Temecula Patio Cover will compliment your backyard perfectly. Call us to set up an appointment for a professional painting estimate. Our estimates are free. We are available to give you written, no obligation estimate during any business day. We guarantee high-quality services. MasterCraft offers both stone/ceramic tiles, and hardwood flooring. We have completed hundreds of flooring projects for Southern California residents. MasterCraft exclusively services the Temecula Valley with quality mobile home services. It is always time for mobile home remodeling. Give your mobile home the attention it deserves. Call today for a free quote. No concrete pour is too small or too big. We specialize in concrete jobs. Consider us for driveways, steps, backyard patios or side walks. We could also do your entire front and backyard. MasterCraft HVAC technicians are certified in both residential and commercial heating services. Need to schedule annual maintenance on your HVAC system? Looking to install new Temecula heating and air conditioning? No job is too big or too small. Want to convert a loft to a room or add a closet? Maybe tear down a wall to open up a floor plan? Call Mastercraft for your framing needs. No job is too small. We specialize in both framing and drywall. Everybody loves a fireplace. In fact, fireplaces are one of our customers most favorite item to include on remodels. Think about adding a fireplace to your kitchen, living room, or bathroom? We’ve partnered with our friends at Starfire Direct. We now offer a HUGE line of fireplaces. All of them at a special discount for Mastercraft Home Improvement Customers. Use COUPON CODE: MASTERCRAFT10 at checkout, and receive 10% off any Napoleon Fireplace. Make sure to give us a call, and we’ll install it for you! Southern California is the ideal place to enjoy our outdoor patios. Mastercraft Home Improvement can help remodel your backyard. Shop Starfire Direct to find a dining set for the patio, BBQ grill, and accessories. We have the best selection for that new BBQ Island, umbrellas for the pool area or fire pits to enjoy cool evenings. Use COUPON CODE: MASTERCRAFT10 at checkout to receive 10% off any outdoor patio order. We’ll be happy to set it up and install it, so you’re up in the running in no time! "This company is very reliable. I like that the owner took his time to explain the process. He suggested money saving ideas that would still deliver the look I wanted. These changes didn't make my kitchen look cheap. I highly recommend them." - Mayoli P.
My husband and I are quite pleased with Mastercraft Remodeling. We called them about kitchen and bath remodeling. The pricing was very competitive. All representatives maintained a professional attitude. Every day they cleaned up after themselves. I would be happy to recommend Mastercraft to neighbors and friends. Also, I look forward to calling Mastercraft for future jobs. I believe they sincerely care about their customers. I will call them when I need an air conditioning service. Joe Martin and his team provide the best customer service! They do the best work in Riverside County! I would hire them again and highly recommend them! A big thanks go out to Joe and his crew!!! They made our home look and feel like a brand new home. We are so excited to return home every day. Thanks again! Mastercraft does excellent work!!! Their workers and staff are respectful and professional. They picked up all their trash and left my home clean. I am a Satisfied customer. Mastercraft built my backyard patio. It was beautifully crafted and designed. They were extremely responsive and reasonably priced. I had three estimates before picking them. They beat their competitors by thousands. The owner assisted me in other design projects. They include a kitchen renovation and new flooring for my mother's house. Mastercraft stands behind their work. I was delighted with the quality of craftsmanship. I particularly appreciate their customer service and pricing. Mastercraft is very professional. They stay on task and do excellent work. They put up a big patio with ceiling fans. They also added concrete in my backyard. It looks so beautiful! I LOVE IT!! !